Immediate action worldwide to halt deforestation and restore extensive areas of natural forest is key to limiting climate change and biodiversity loss. Halting and beginning to reverse the destruction of the world’s forests for agriculture is the cheapest, quickest and most equitable option to stabilise the climate and buy time for a just transition to a low-carbon economy. 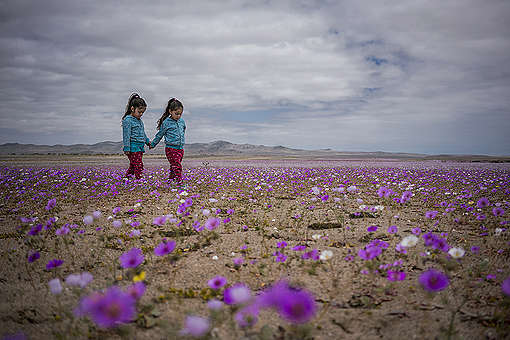 However, although there is widespread agreement on the need for rapid and far-reaching action, political and corporate commitments are failing to translate into measurable results on the ground. Agricultural commodities such as palm oil continue to drive deforestation and emissions – and push endangered species like orangutans and tigers ever closer to extinction. Time is running out. 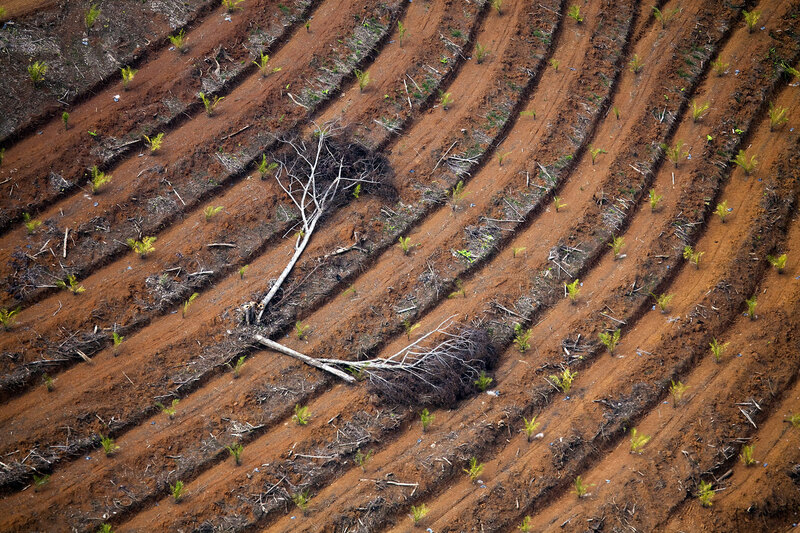 Global brands must not walk away from the agreed milestone – an end to the link between deforestation and globally traded commodities by no later than 2020. In 2010, members of the Consumer Goods Forum (CGF) pledged to do their bit to protect forests and limit climate change, with a clear commitment to clean up global commodity supply chains by 2020. 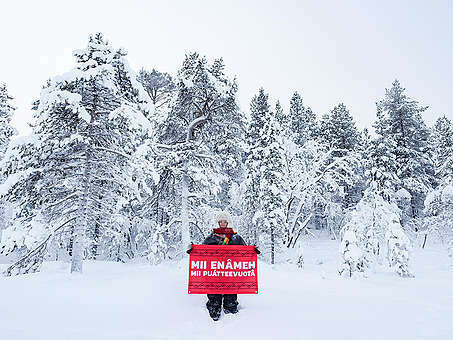 World governments, emboldened by this pledge and in the knowledge that stopping deforestation was the easiest and most cost-effective way to reduce greenhouse gas emissions, incorporated action to address forest destruction into the Paris Agreement on climate change as a key part of their strategy to mitigate global temperature rise. 2020 targets for halting deforestation and biodiversity loss and for restoring degraded forests also figure in the United Nations (UN) Sustainable Development Goals, to be implemented by ‘all countries and all stakeholders, acting in collaborative partnership’ in order to eliminate poverty and ‘to heal and secure our planet’. Yet with less than two years to go until 2020, deforestation to produce commodities such as palm oil shows no sign of slowing down. Corporate commitments and policies have proliferated, but companies have largely failed to implement them. As a result, consumer brands, including those with ‘no deforestation, no peat, no exploitation’ (NDPE) policies, still use palm oil from producers that destroy rainforests, drain carbon-rich peatland and violate the human rights of workers and local communities – making their customers complicit in forest destruction, climate change and human rights abuses. 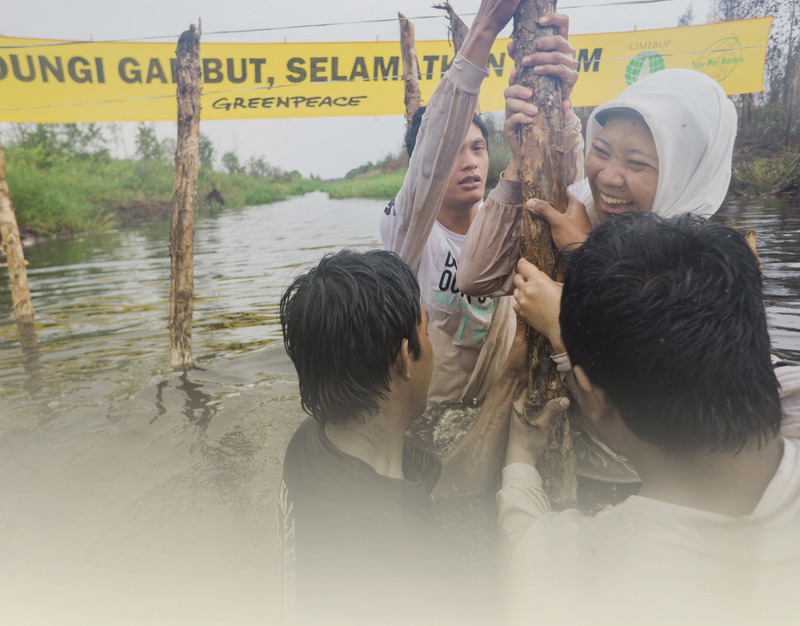 At the start of 2018, Greenpeace International challenged 16 leading members of the CGF to demonstrate their progress towards a clean palm oil supply chain. We called on them to disclose publicly the mills that produced their palm oil, and the names of the producer groups that controlled those mills. If disclosed, this information would show whether brands had forest destroyers in their supply chains. Eight CGF brands – Colgate-Palmolive, General Mills, Mars, Mondelēz, Nestlé, Procter & Gamble (P&G), Reckitt Benckiser and Unilever – were prepared to hold themselves accountable prior to publication of this report. 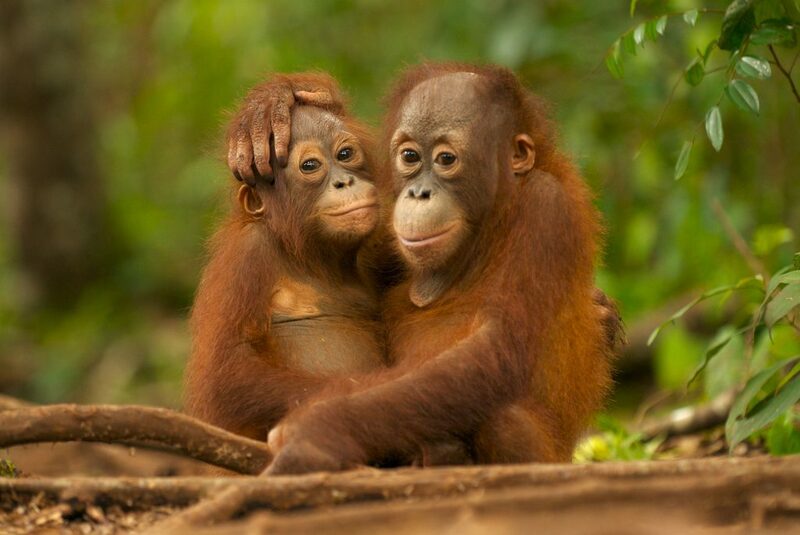 The others – Ferrero, Hershey, Kellogg’s, Kraft Heinz, Johnson & Johnson, PepsiCo, PZ Cussons and Smucker’s – refused to reveal who produced their palm oil, thereby concealing the extent of their complicity in rainforest destruction. Brands have failed to clean up their supply chains – and the people and environment of palm oil-producing countries are suffering the consequences. Decades of deforestation for plantations has created the ideal conditions for the raging forest and peatland fires – often deliberately set by companies clearing the land – that regularly threaten the health of people across Southeast Asia and imperil our global climate. Exploitation of workers, including the use of child labour, remains endemic in the sector. Meanwhile, Indonesia, at the heart of the industry’s expansion, has more threatened and endangered species than any other country on the planet, in many cases as a result of loss of habitat; leading conservationists now talk about when, not if, orangutans and other iconic species will become extinct. Palm oil is a high-risk commodity. Palm oil traders (typically corporations that also have plantation interests) continue to allow oil from rainforest destroyers into their mills, refineries and distribution systems, and neither governments nor the main industry body – the Roundtable on Sustainable Palm Oil (RSPO) – can currently be relied on to prevent producers from engaging in deforestation or clearing peatland. Accordingly, brands must adopt NDPE policies if they have not already done so, and take responsibility themselves for ensuring that the producer groups in their palm oil supply chains comply with those policies as soon as possible, and no later than 2020. Equivalent policies should be enforced across all their commodities. The first step towards achieving this is for each brand to publish a clear, time-bound plan, including an explicit commitment that by 2020, 100% of the palm oil it uses will come from producers whose entire operations have been verified as compliant with its NDPE policy – even if that means using less palm oil than it is using today. Next, brands should open themselves up to public scrutiny by publishing complete lists of the mills and producer groups in their supply chains. Then they must take responsibility for investigating these producer groups to identify any that are clearing rainforests or peatlands, or exploiting workers or local communities. Brands must work with traders to get concession maps, and other data necessary to enable successful monitoring, into the public domain. Ultimately, brands and traders must exclude any producer that refuses to reform, even if the palm oil it is supplying to them comes from different concessions to those it is clearing. By 2020, a responsible brand should be able to demonstrate that all the palm oil it uses comes from reputable producer groups whose operations have been verified compliant with its NDPE policy. At the same time, brands should support the transformation of the entire industry by sourcing only from traders and other suppliers that can show that all the palm oil they sell comes from producers that have been verified compliant with NDPE standards. 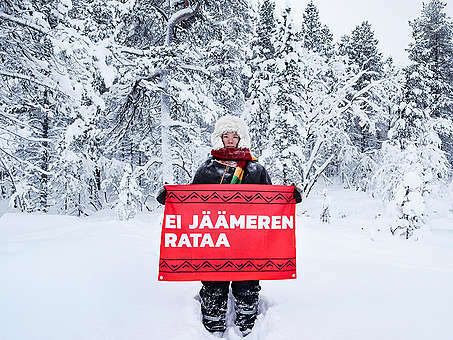 “The Finnish government is trading away our rights and our land. We do not consent." I have been avoiding all products using palm oil, which is very difficult. Please can you give a list of companies who use non "toxic" palm oil? It's true that palm oil is in so many things we use every day - our toothpaste, our shampoo, our biscuits and our peanut butter. It’s almost impossible to avoid palm oil and our report shows that no company can guarantee that their palm oil is free from forest destruction. The solution is for people to tell the companies they buy from that they need to do much more to protect rainforests - and to do it faster. We need to let companies know what we want - and that we will stop buying their products if they don’t sort the problem out. Could you post a list of products containing palm oil and the fake names companies use to disguise it? Mission impossible!!! Virtually everything from make up to cleaning products, bread, biscuits, margarine...the list is endless. I found the only way to avoid destructive palm oil is to look at the ingredients list of a product (bearing in mind palm oil can be hidden under a different name- you need to research this) and then contact the manufacturer to see if they can prove their palm oil is from a sustainable source. If they can't, or don't respond, I delete their product from my list. Time consuming, admittedly, but it depends how far you want to go to help kill off the illegal and destructive trade. Hope that helps?? Excellent stuff Greanpeace. All responsible companies need a plan to achieve this. (And well done those that declared info for doing that at least.) Companies and major brands need to start to think not just about 'no deforestation harm' but about restorative supply chains. Indonesia has 6-11 million hectares of degraded rainforest. It's time to have viable alternatives to industrial monoculture, loss of habitats and social equity.